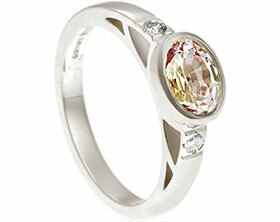 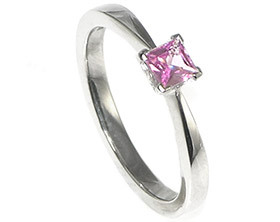 The great combination of the warm 9ct white gold (without rhodium plating) with the blush pink of the 2mm brilliant cut sapphire gives the ring a very feminine soft feel.The delicate flush star setting around the sapphire is a nice alternative to a raised claw setting so is good for someone very hands on but still wants something classic in feel. 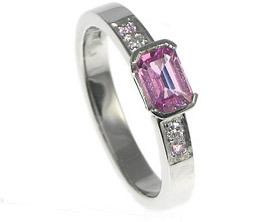 Pink sapphire and diamond engagement ring. 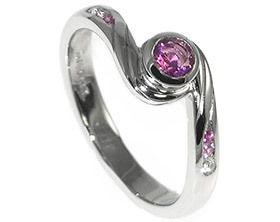 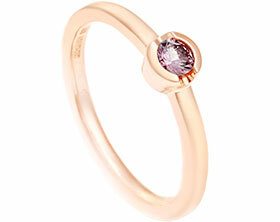 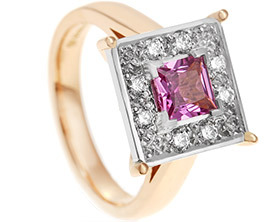 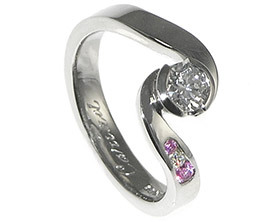 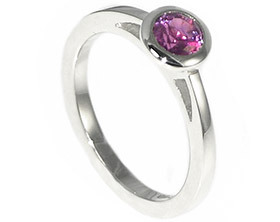 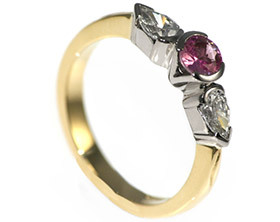 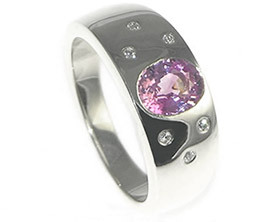 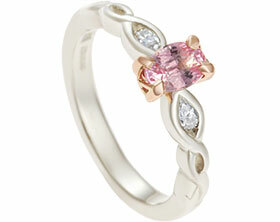 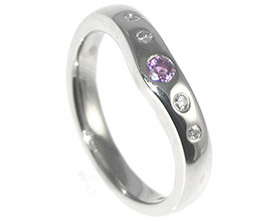 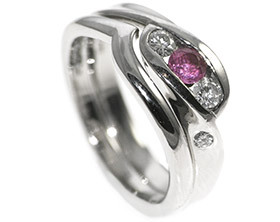 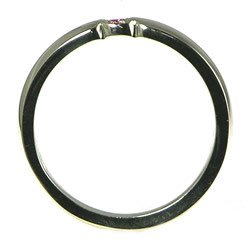 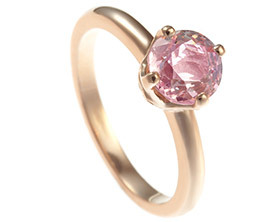 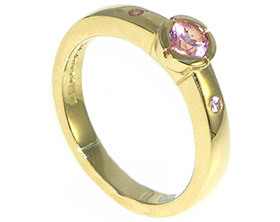 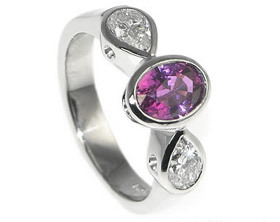 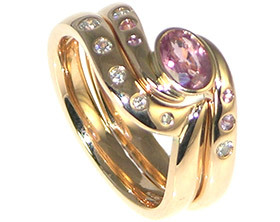 Palladium ring incorporating a pink sapphire and diamond. 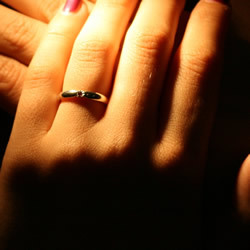 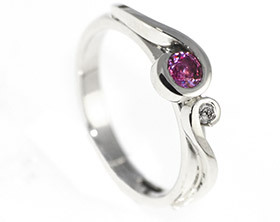 Bespoke 9ct white gold engagement ring with heart shape sapphire. 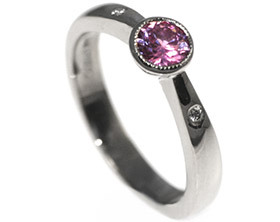 Platinum and pink sapphire engagement ring. 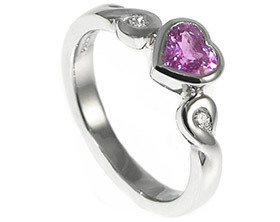 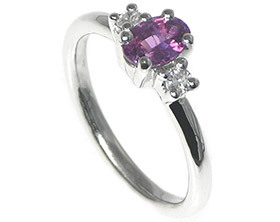 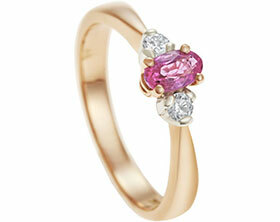 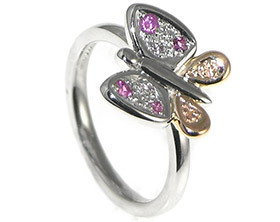 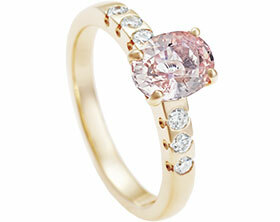 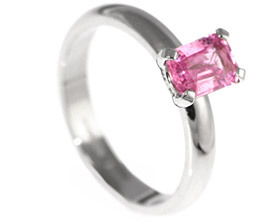 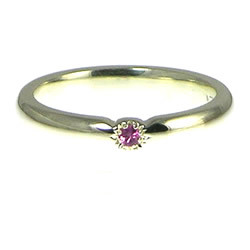 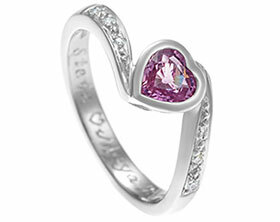 Delicate 9ct white gold oval pink sapphire and diamond engagement ring. 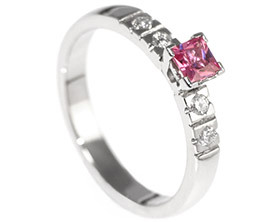 Platinum engagement ring with a princess cut pink sapphire and diamonds. 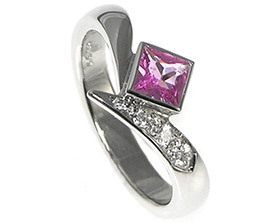 Platinum engagement ring with pink sapphire and two diamonds. 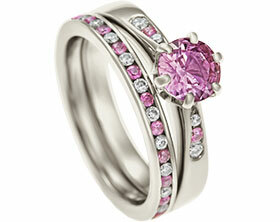 Platinum, 1.70ct pink sapphire and diamond engagement ring. 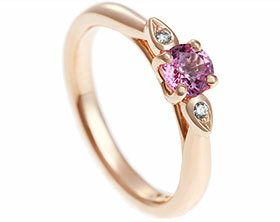 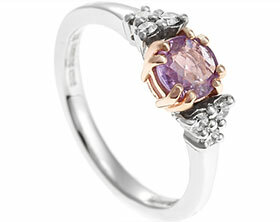 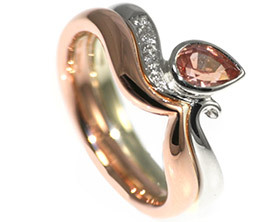 A platinum pink sapphire and diamond flower inspired engagement ring. 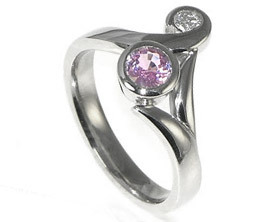 18ct white gold engagement ring with a central pink sapphire and side diamonds. 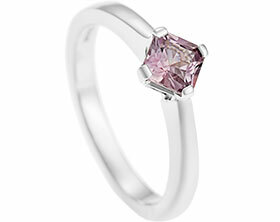 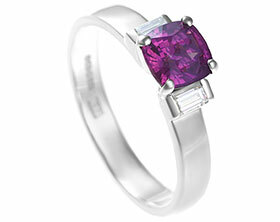 Bespoke platinum engagement ring with 0.40cts princess cut pink sapphire. 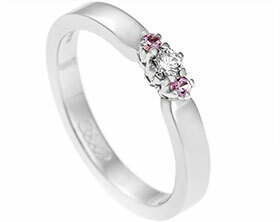 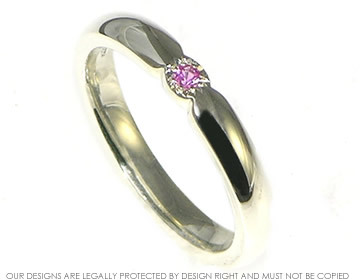 Platinum engagement ring with 0.54cts pink sapphire and diamonds totalling 0.17cts. 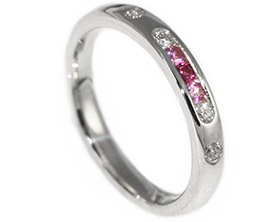 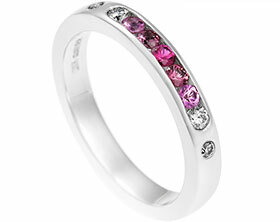 9ct white gold eternity ring with 9 channel set pink sapphires.